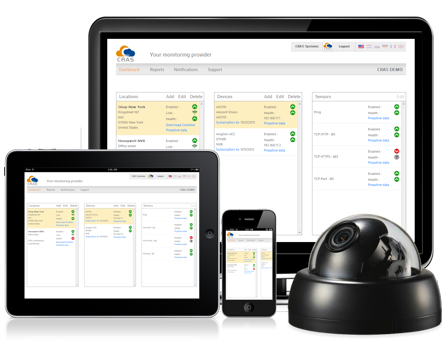 CRAS 24/7 is a cloud based security solution designed to help security and IT people handle the challenges of maintaining an IP based security system. CRAS 24/7 monitors the health and performance of IP devices. And provides not only alarms but also updates and regular reports on these devices. CRAS supports edge security devices like ip video camera’s and video encoders. Receive alarms of device errors and report notifications via e-mail and SMS. With a pay as you go pricing and licensing model, CRAS is affordable and easily scalable. Monitor the security health of an unlimited number of locations and sites. 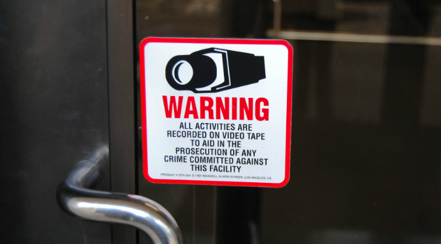 YOU OWN OR MANAGE A VIDEO SURVEILLANCE SYSTEM? With CRAS’ analysis of each and every device you always know the state of your security system. CRAS helps you to avoid loosing valuable data and video evidence. CRAS improves your service, creates recurring revenue and helps to create new business opportunities. 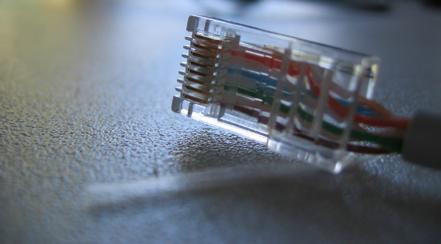 Improve your service level without the costs often involved.